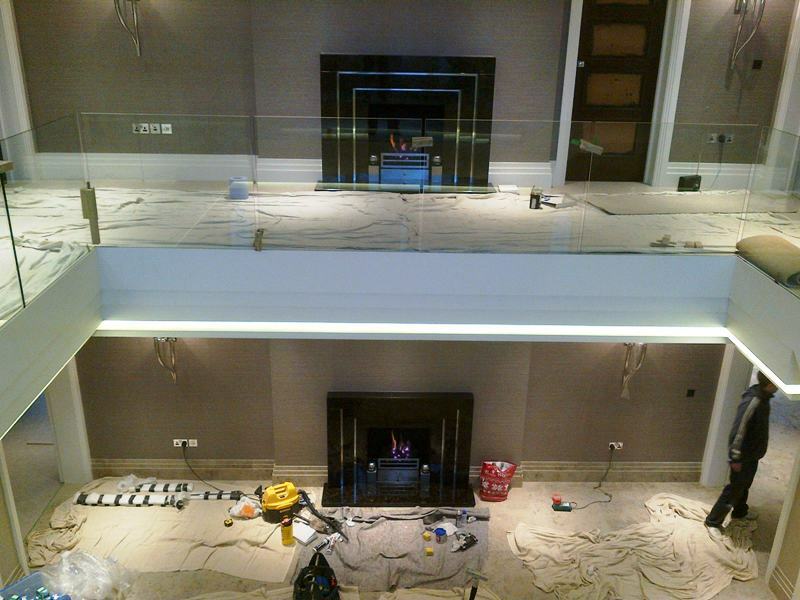 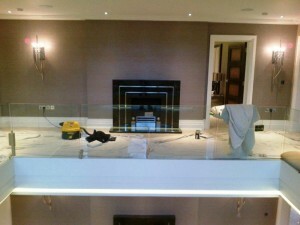 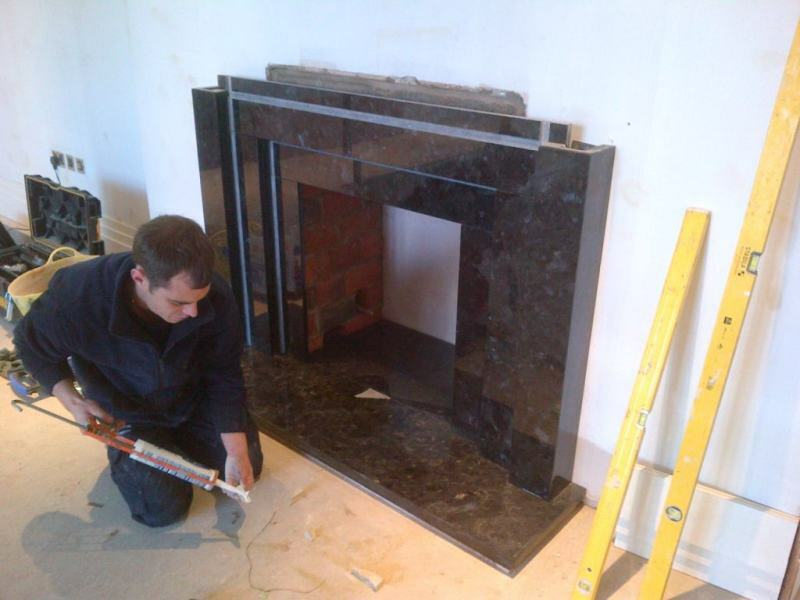 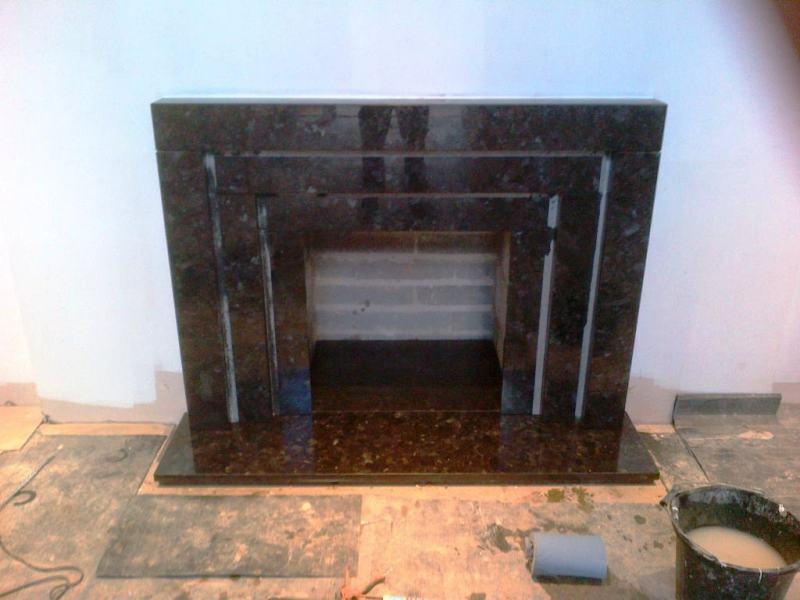 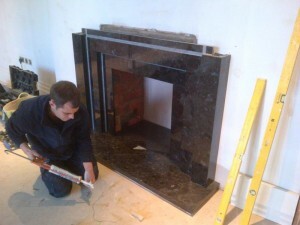 Instructed by Hillhouse Interiors this stunning granite fireplace on the landing was one of a pair. 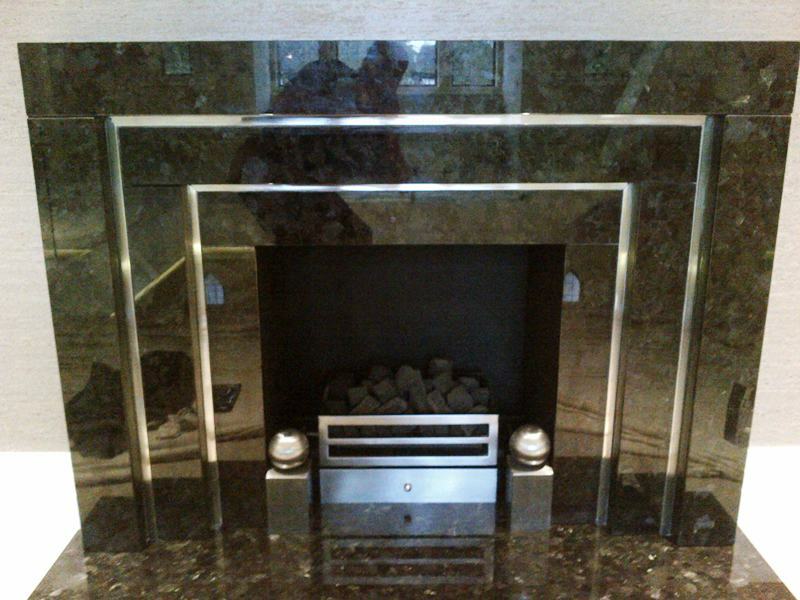 Both granite fireplaces in the hall and landing add an amazing feature to this house especially with the glass walls around the atrium. 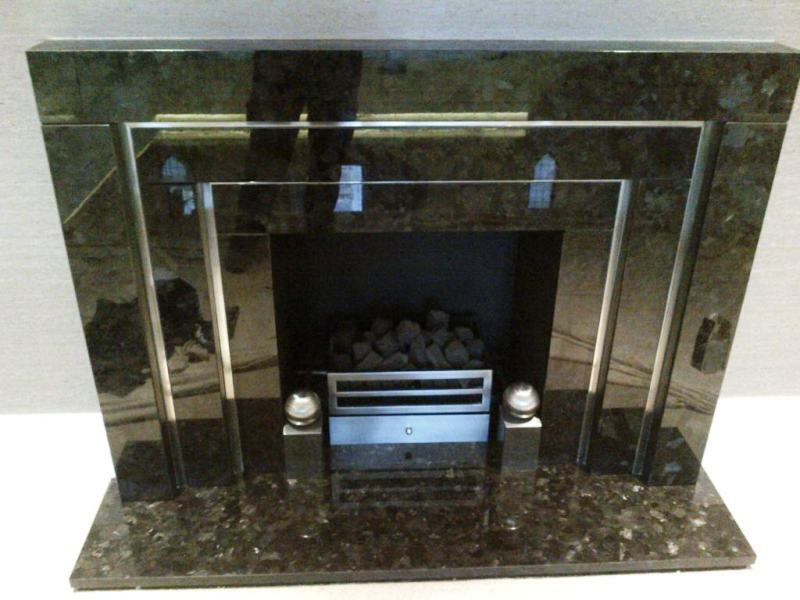 Built in a distinguishing dark granite with metal inlay trim, they finish off the room beautifully. 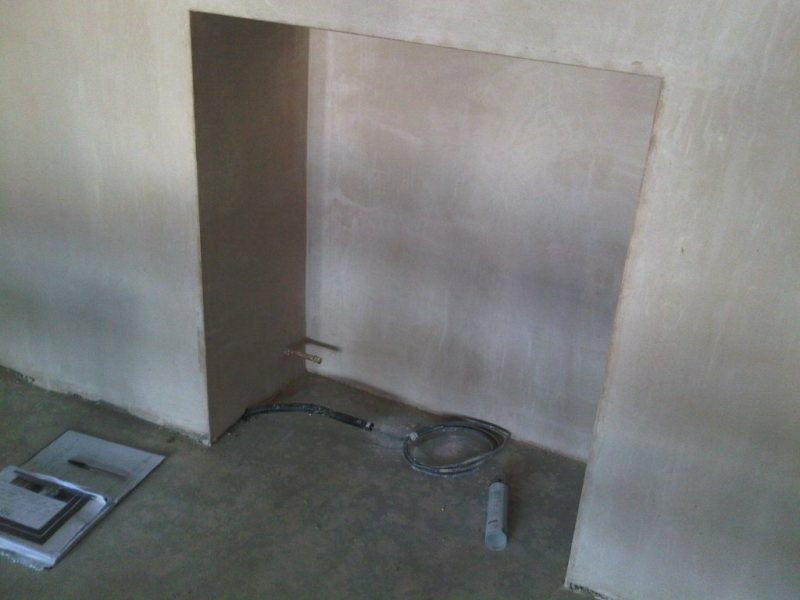 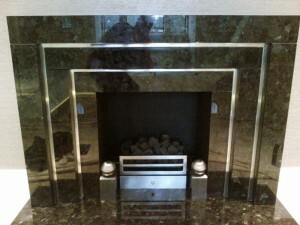 See other Granite Fireplace in Hall in same property.